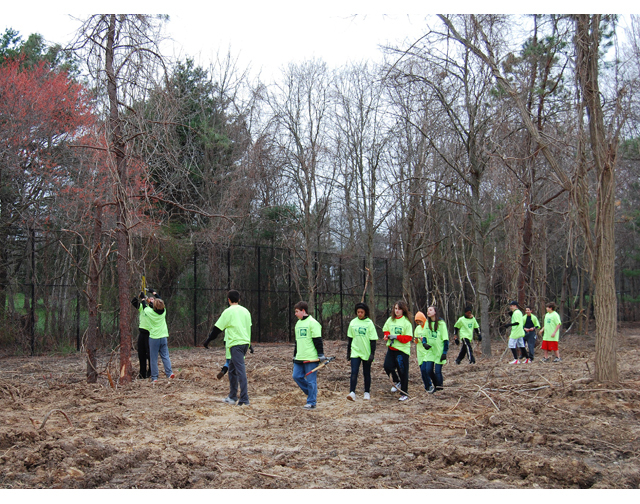 In 2010, The Longwood Alliance petitioned the New York State Pine Barrens Commission for help with the western section of Bartlett Pond Park, located in the Compatible Growth Area of the Pine Barrens on Middle Country Road in Middle Island. This area had become overrun with vines and other invasive plants. 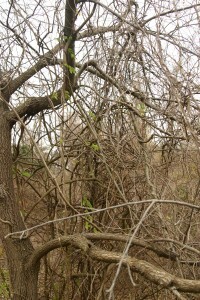 It was so impassable that the limbs of many mature trees were being severed from their trunks! 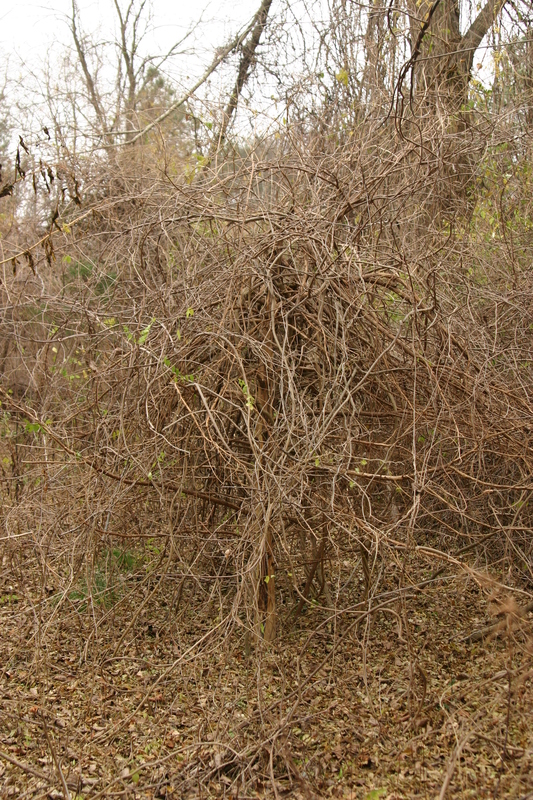 The Alliance filed a Hardship Application seeking to re-establish a hiking trail, relocate playground equipment and remove the invasive species from the park. 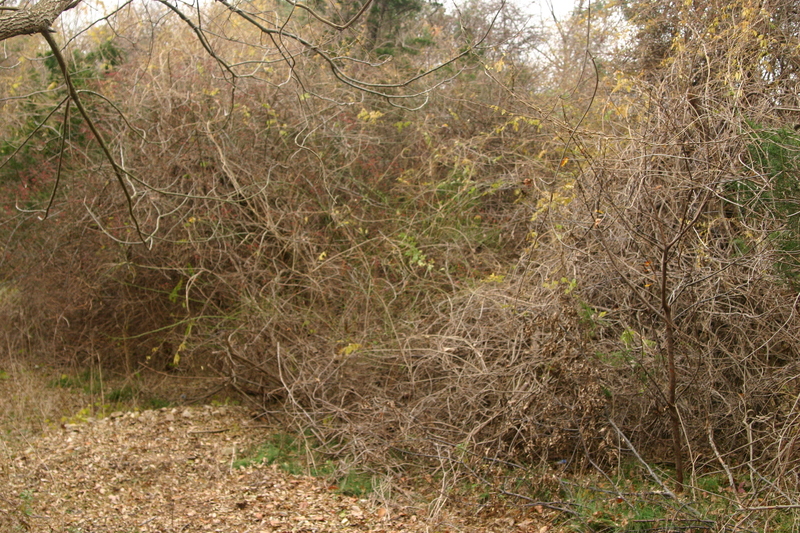 At the May 19th Public Hearing, the Commission staff asked The Alliance to reduce the width of the hiking trail in order to gain a more favorable clearing limit and avoid setting a dangerous precedent that could weaken the Pine Barrens Legislation. 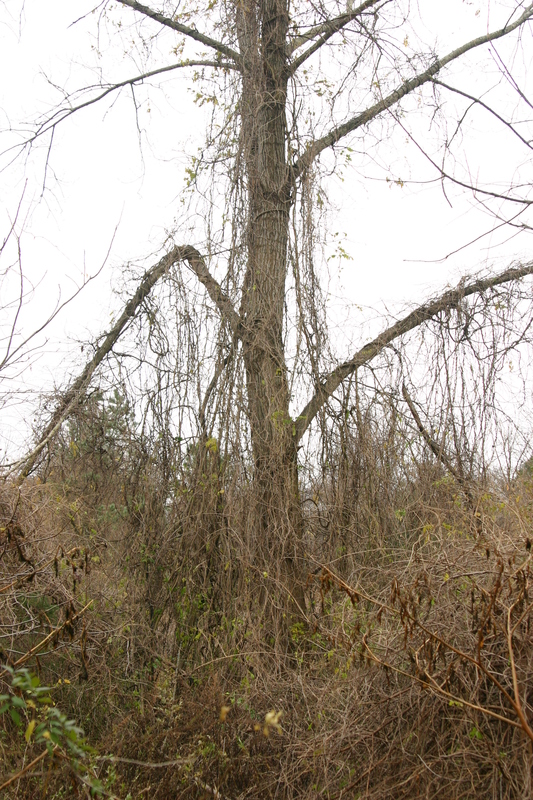 Although there were enough votes to grant the hardship, The Alliance agreed to withdraw its application and work with the Commission and Town of Brookhaven to implement the goals of the application. 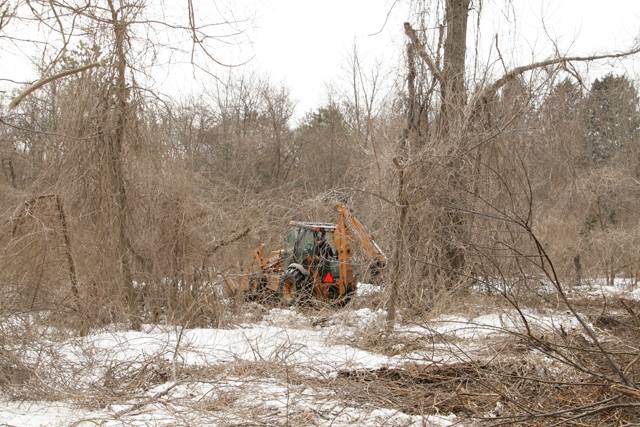 A Tree Clearing Permit was issued in the name of the TOB Parks Department as part of this process. 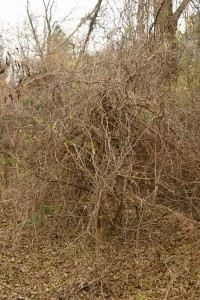 Heavy snows weakened and further damaged many vine laden trees from December 26, 2010 through February 2011. 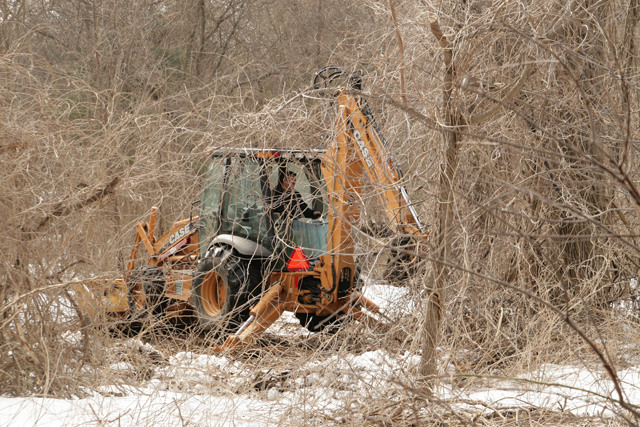 When TOB Parks personnel began clearing the invasives, it proved unsafe and almost impossible to do without the use of heavy equipment. 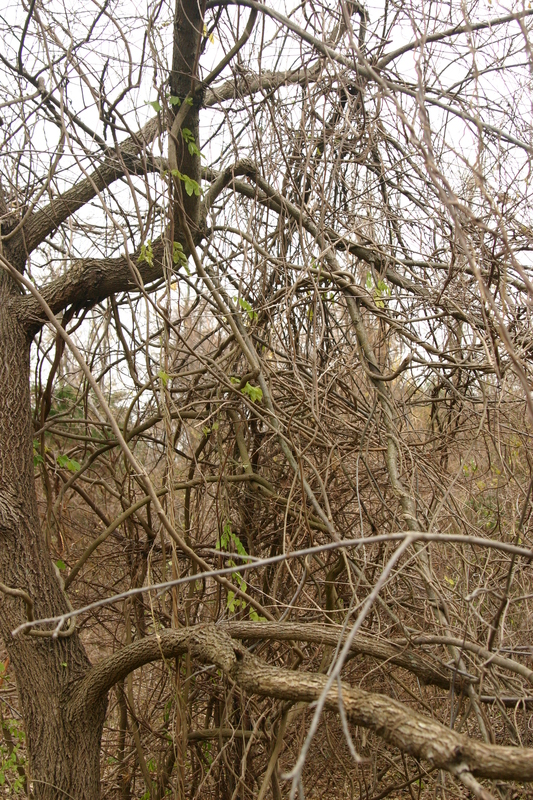 Many trees were dead and were being held up only by the vines. Machine operators carefully and painstakingly saved as many trees as possible. 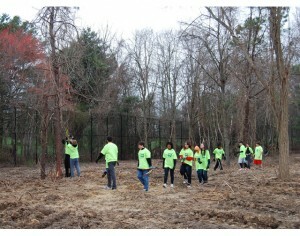 Once the danger was over, volunteers conducted a “De-vining” on April 18 as part of the Great Brookhaven Clean Up. 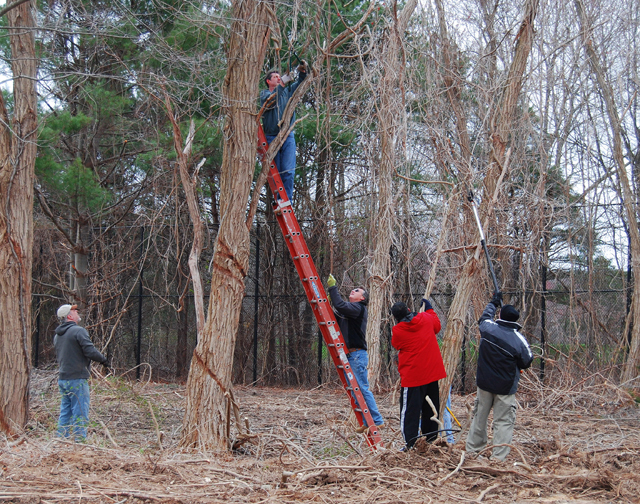 Unfortunately, these well-intended measures were considered a technical violation of the Pine Barrens clearing limits. 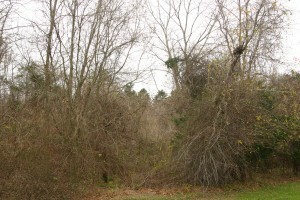 A cease and desist order was issued and the land lay empty while Brookhaven and the Pine Barrens Commission negotiated a solution. In lieu of a possible $15,000 fine, the Town would design and implement a revegetation plan for the cleared section of the park.